SKN PULSE – The Criminal Investigations Department, Nevis Division formally arrested and charged a traffic warden for the issuance of a false driver’s licence. 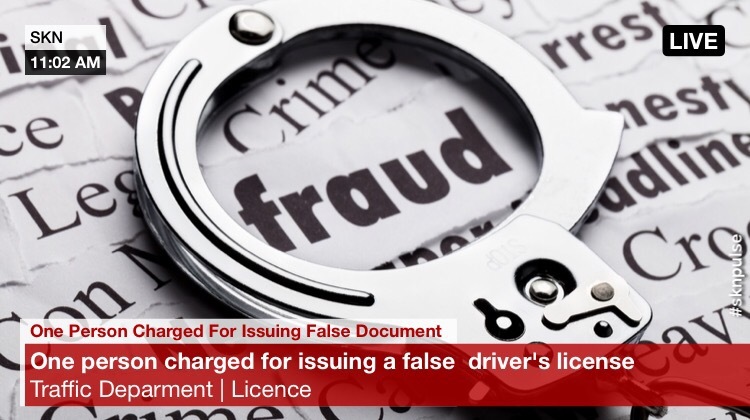 Anthea Griffin of Cherry Gardens was arrested, formally charged and cautioned for the offence of Issuing a false document purporting to be a Certificate of Competency for the purpose of obtaining a driver’s licence, knowing the said document to be false. According to a Police Press release, Griffin was granted bail by in the sum of Ten thousand dollars ($10,000.00) for her appearance at the Charlestown Magistrate Court on Tuesday 6th June 2017.